Easy Digital Downloads users find it difficult to grow their business because of missing business insights and KPI’s. But, with Putler, a vast reporting and analytics solution for Easy Digital Downloads, growing business will now be easy..
Why you need an in-depth reporting tool for Easy Digital Downloads? The standalone Easy Digital Downloads reports doesn’t provide insights into transactions, customers and products except an overview of your sales and earnings. To monitor and grow your Easy Digital Downloads business, you must need a complete reporting and analytics solution..
What’s noteworthy about Easy Digital Downloads? The traditional Easy Digital Downloads reports gives you an overview of your sales and earnings and some product related reports. With this report, you can keep a track of your total sales and total earnings for the desired period you have selected. It can be for today, yesterday, a week, a year or custom date range. In addition to it, you also get data on your estimated monthly earnings and estimated monthly sales. This report gives you the earnings over time graph for a specific download. You can filter report as per the date range and whether to include or exclude taxes. Other details includes average monthly sales and earnings for the specified time period. There’s a paid extension called as Easy Digital Downloads Advanced Reports starting at $89 for a single site. This extension gives a little more insights into your sales but not complete details a business wants. What’s missing in Easy Digital Downloads reports? Type of transaction and its status – shopping cart, subscription, currency conversion; time when you encounter high / low sales, order frequency, refunds, etc. are not reported in Easy Digital Downloads reporting. Which products are best-sellers? Which products do not sell? Product leaderboard, top 20% products revenue and many more useful product KPI’s are unavailable in Easy Digital Downloads reports. Along with product insights, complete customers data is a must. Who are top paying customers? Who are the new customers? When do customer spend the most time on site and on which products? Such insights you won’t find in Easy Digital Downloads reports. Is Putler the best reporting solution for Easy Digital Downloads? 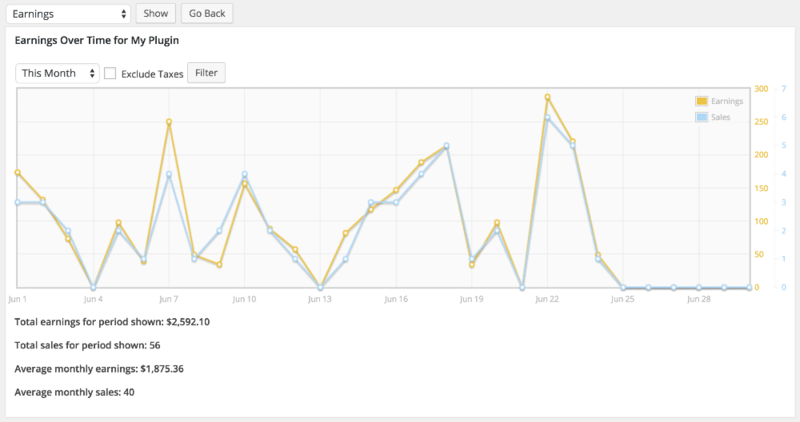 Putler is an out-and-out reporting and analytics solution for your Easy Digital Downloads orders. Connect your Easy Digital Downloads account to Putler and you will come across instantly useful insights and metrics to grow your business. All those insights and KPI’s missing in Easy Digital Downloads reports are covered up in Putler plus a lot more..
What Easy Digital Downloads users love about Putler? Multiple accounts consolidation: Connect multiple Easy Digital Downloads accounts to Putler and view all your business stats at a single place. Not just Easy Digital Downloads, you can connect multiple payment gateways, shopping carts – WooCommerce, Stripe, Google Analytics, etc. 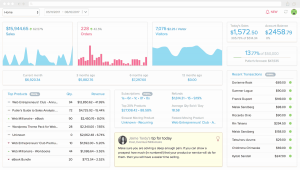 to Putler and view insights for your business. Complete product reporting: Know every bit about your product performance and make decisions accordingly to increase sales. In-depth sales & transactions details: Transactions quick list, refunds, related transactions, revenue breakup, etc. all covered up in Putler reports. RFM analysis & customer segments: Get to know each of your customer segment. Top paying customers, customers on the verge of churn, complete customer details, etc. Instant transactions look-up: Enter few initials you want to search and Putler will bring up all related transactions for your query instantly. In addition, you also get subscriptions metrics, visitor insights, personalised insights, forecasted values, CSV export and a lot more in Putler. How to connect EDD with Putler? Select EDD under E-commerce category. Fill in your EDD shop URL. Click ‘Install plugin’ if you have not installed EDD – Putler connector plugin on your EDD site. If you have already installed and activated EDD – Putler connector plugin then click ‘I’ve installed Plugin’ button. Easy Digital Downloads is awesome. Putler is awesome too. Use Putler for your Easy Digital Downloads orders and get acquainted with a complete picture of your business. It will really help to take your business to new heights.